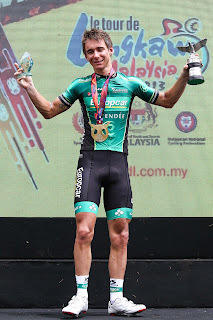 TANAH MERAH, Thursday 28 February 2013 - Earlier failures despite coming close to winning a stage were put to rest by Team Europcar's Bryan Coquard won a bunch sprint to bag victory in Stage 8 of Le Tour de Langkawi (LTdL) from Kuala Terengganu to Tanah Merah today. 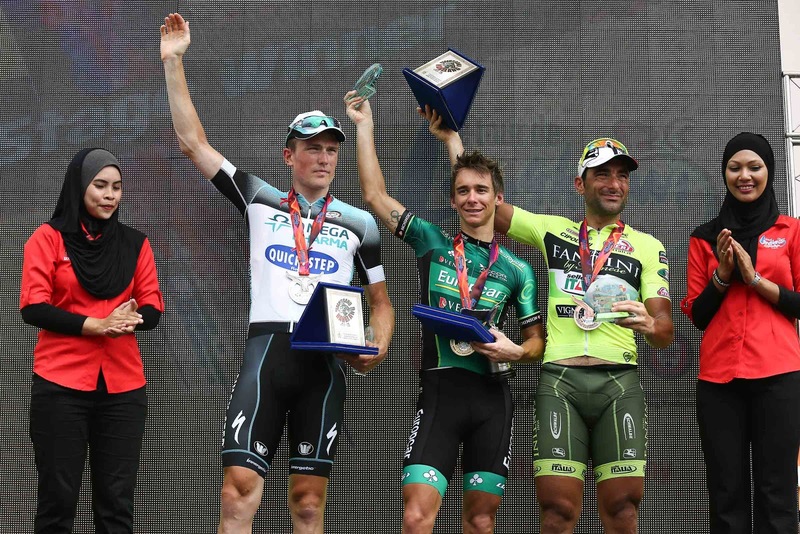 Coquard, 20, beat Omega Pharma-Quickstep's Andrew Fenn and Stage 4 winner Francesco Chicchi to continue his hot streak with Team Europcar in his debut season as a professional after winning two stages in the Etoile de Besseges before coming to LTdL. 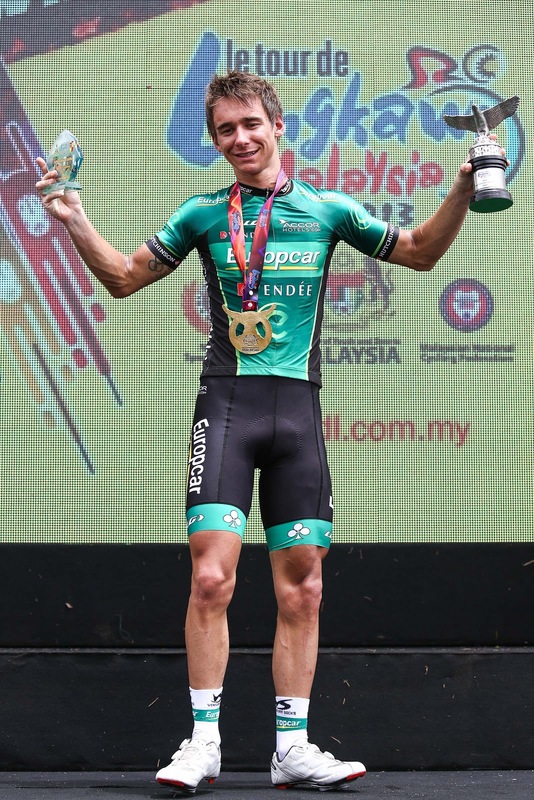 In the flat stage which was expected to finish in a bunch sprint, Coquard, who finished second in Stage 1 in Kulim and fourth in Kuala Kangsar (Stage 2), used the right strategy to sprint from the right and complete the stage in 3 hours 36 minutes and 47 seconds. Born in Saint Nazaire, France, Coquard who won the silver medal in the omnium track event at the Olympic Games in London 2012, also overcame the disappointment of finishing eighth in Stage 7 in Dungun after a mistake saw him finish 8th. 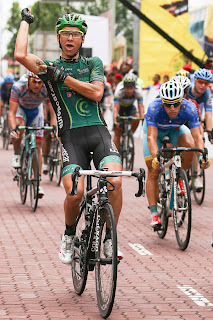 "Yesterday I wasn't able to sprint well at the final moment but today I worked hard and was lucky to win this stage. My performance is at a good level and I was ready to take another chance today," said Coquard. 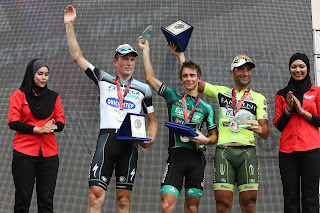 "In the final kilometre I was in a good position, in 10th or 11th and I took the chance in the final 200 metres to start my sprint from the right and overtake the riders at the front," saiod Coquard. "I'm happy to win here because the field here is so strong. This victory is also important for the beginning of my career. I have achieved my target today and I can ride in the final two stages without the pressure of needing to register a victory." Earlier, the peloton was driven at a very high pace before two riders - Low Ji Wen (OCBC Singapore) and Liu Jianpeng (Hengxiang) managed an escape after 25km and distanced themselves with a gap of almost 12 minutes before the peloton led by Astana, Vini Fantini and Team Nippo-De Rosa began to chase them down. 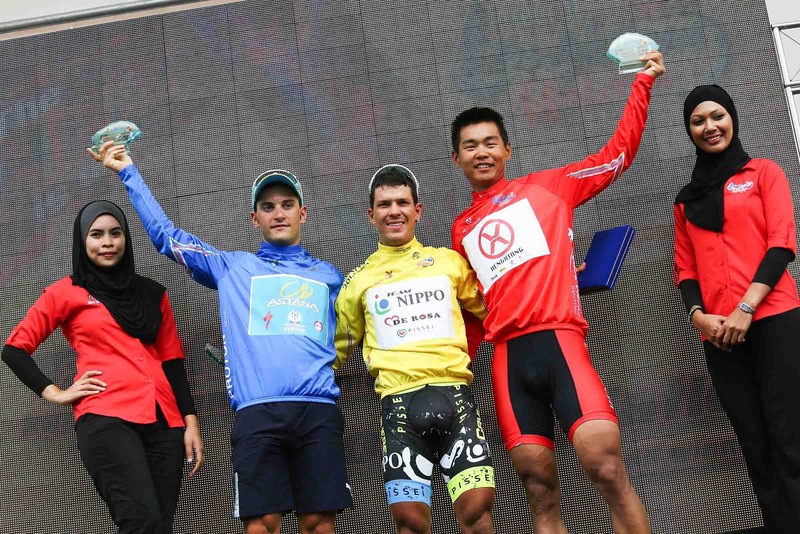 The yellow jersey holder Julian Arredondo of Team Nippo-De Rosa also retained his overall lead, along with Wang Meiyin of Hengxiang who leads the mountains classification and Asian riders' classification and Andrea Guardini of Astana, who leads the points classification. 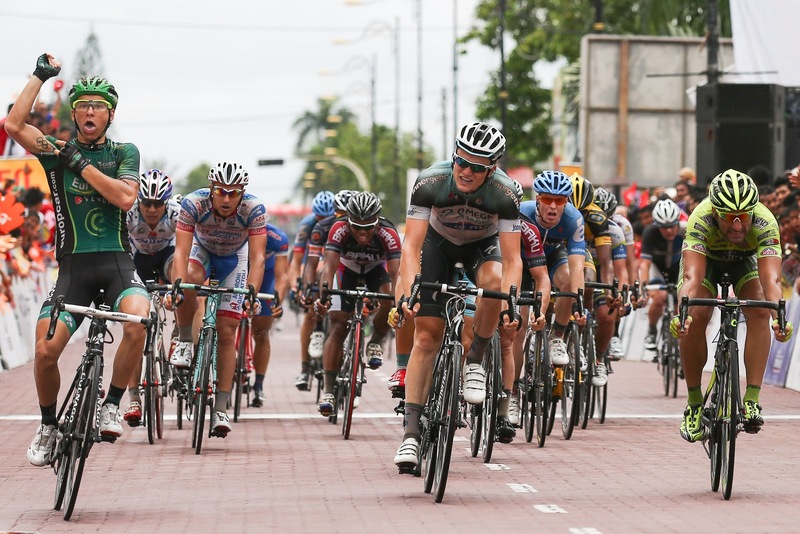 South African team MTN Qhubeka also look set to hold on to their overall teams classification lead with two flat stages remaining.